An effective kids health program is the result of an uncompromising commitment to deliver an experience that inspires kids to move. We measure success in multiple ways: fitness questionnaires sent to parents before and 30 days after our program has ended, fitness data retrieved from the fitness trackers the kids’ wear, the number of kids who participate in our fun run, and the feedback from teachers and parents. 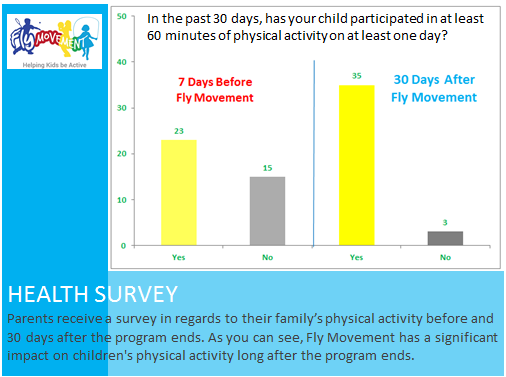 Before we meet with students, we send parents a survey asking if their child has participated in at least 60 minutes of physical activity on at least one day, in the past 30 days. 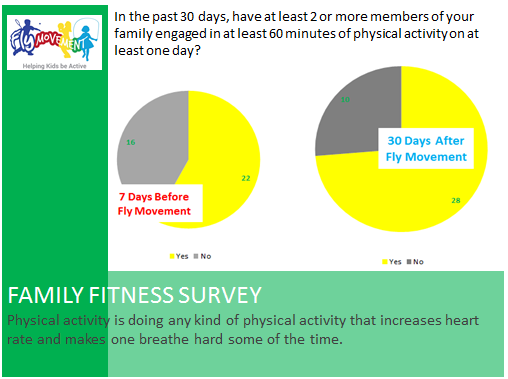 We also ask if two or more members of their family has engaged in at least 60 minutes of physical activity. After our program, parents are indicating that kids are 1.5x more likely to participate in physical activity in the past 30 days and 1.25x more for two or more members of their family to engage in physical activity. 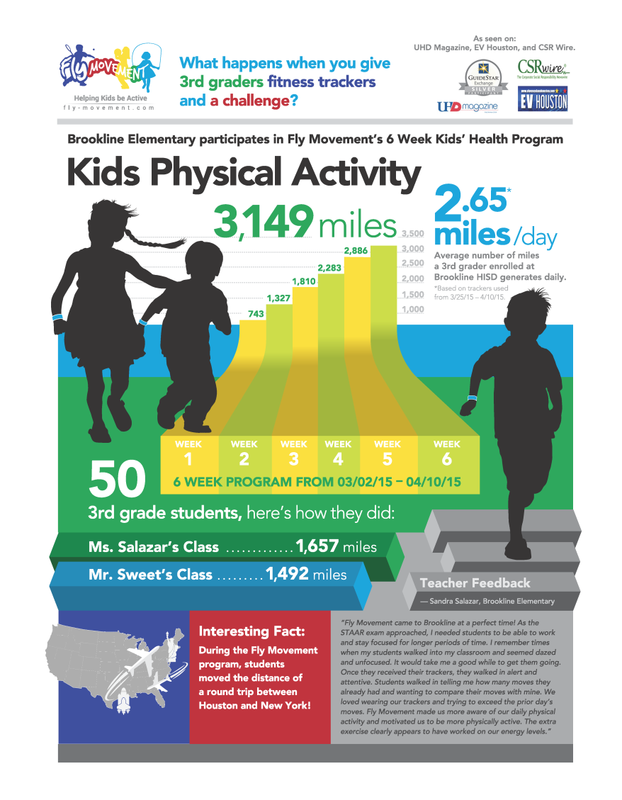 During the Fly Movement challenge, kids’ increase their physical activity by 20% as measured by the fitness trackers. See our case study.